Looking for a refresh? Steal these ideas for your next staging consultation. Blues are dressing up more interiors. Several paint firms have chosen shades of blue as their top paint choice for 2019, including Behr with its “Blueprint”. Blueprint is a mid-tone blue that is described as warmer than denim but softer than navy. Sherwin Williams has selected “Reflecting Pool,” as part of its hot color wheel for 2019. Blues are also popping up more often as accent colors and in home accessories such as pillows, artwork, and throws. 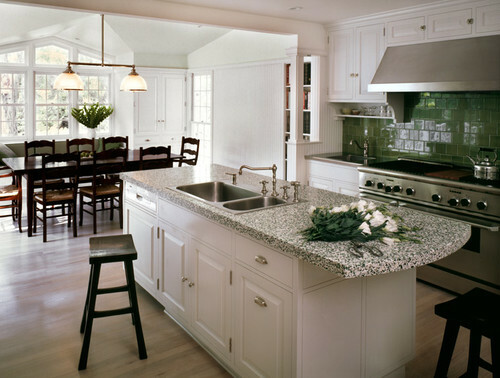 Classic black is showing up in fixtures, stainless-steel appliances, and even cabinets. 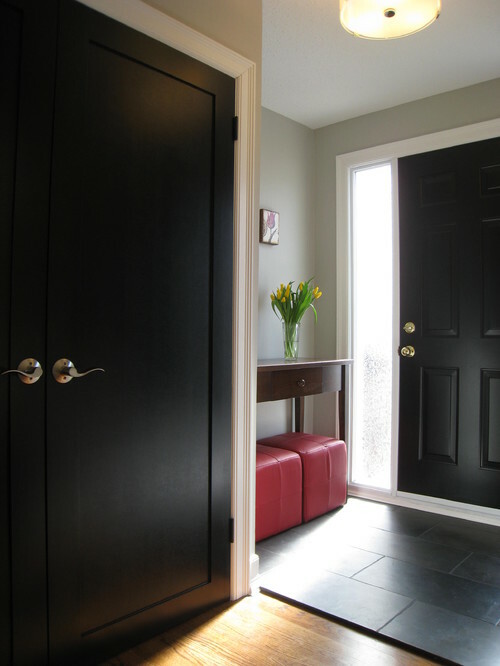 “Black makes a strong visual statement in any room and has been found in both shiny and matte finishes,” Chorew said. Black hardware is also showing strong in competition against the more traditional rubbed bronze, brass, and chrome finishes. Terrazzo, a hard, stone-like composite material, is most easily identified by the presence of those signature speckles within. It was a popular flooring in the 1980s but now it’s coming back and expected to be even more versatile in 2019, Chorew said. “It once was just used in floors, but now it’s coming back but on countertops,” she said, adding that it will likely chip away at marble’s popularity in countertops. 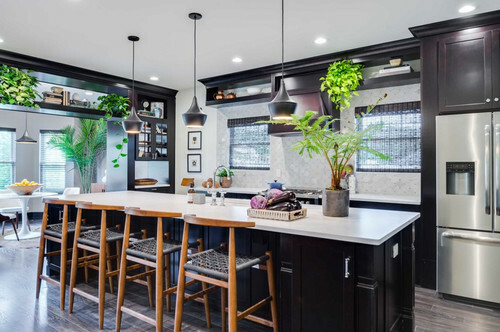 Blending the indoors with the outdoors has been a hot trend for the last few years, but now the idea is getting a boost thanks to accessories that are culled from more natural elements to complete the look. “Rattan, wood, and other natural fibers are finding their way indoors and helping to blur the lines from the inside and outside,” Chorew said.